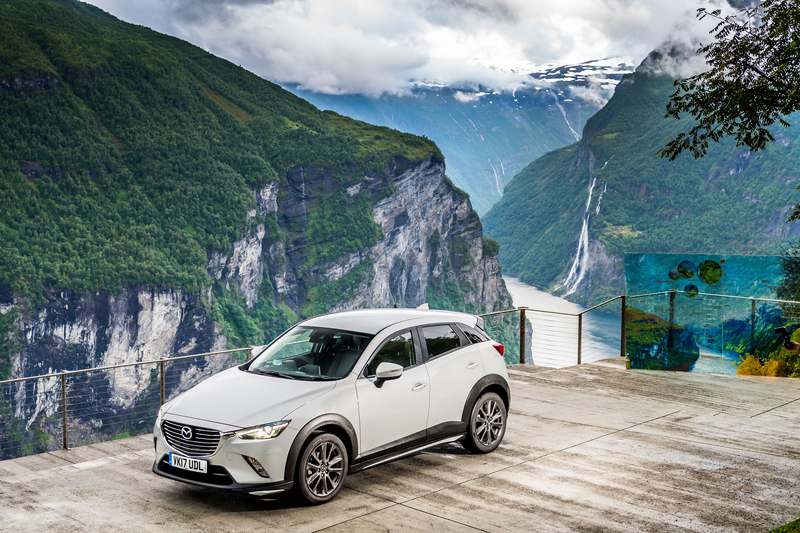 Fresh from its launch in June, the updated Mazda CX-3 has taken to the stunning roads of Norway for the latest of Mazda UK’s Epic Drive media events. 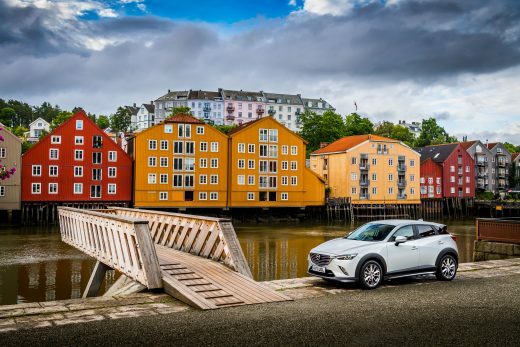 Over the course of a week, the CX-3s took in some of Scandinavia’s finest roads, highlighting both the enhanced refinement and the CX-3’s class-leading handling, while the flagship GT Sport special edition made its public debut in Norway. 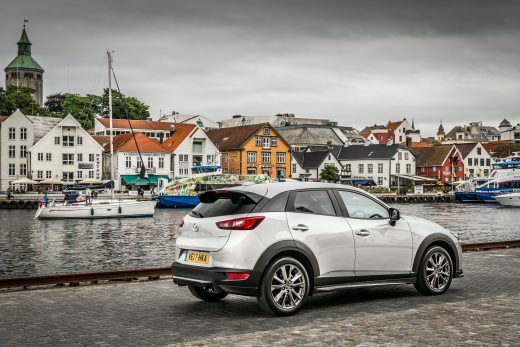 Launched in June 2015, the Mazda CX-3 bought new levels of sophistication, style, driving pleasure and equipment to the growing small SUV market. The updated Mazda CX-3 builds on this with technology upgrades to both Mazda’s i-ACTIVSENSE safety systems and the SKYACTIV-D diesel engine, while across the board the CX-3 benefits from the introduction of G-Vectoring Control (GVC), subtle suspension revisions and increased sound insulation to ensure improved cabin refinement. 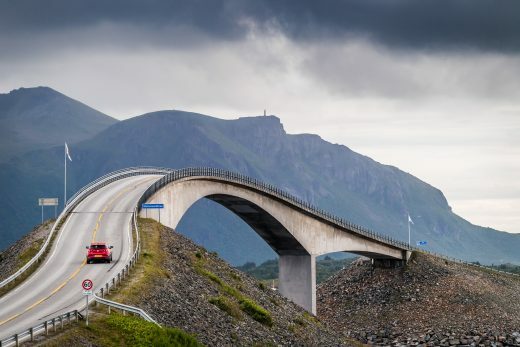 Designed to highlight Mazda’s love of driving ethos, Mazda Epic Drive Norway featured a route that took in both the scale and splendour of western Norway’s natural scenery and the might of Norwegian civil engineering. 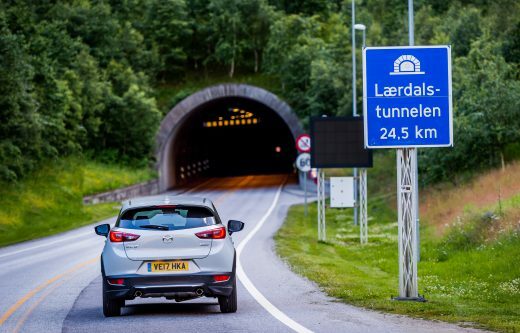 Over the course of two days each CX-3 drove more than 650 miles from Stavanger to Trondheim, taking in the longest – the Laerdal – and the deepest – the Eiksund – road tunnels in the world. 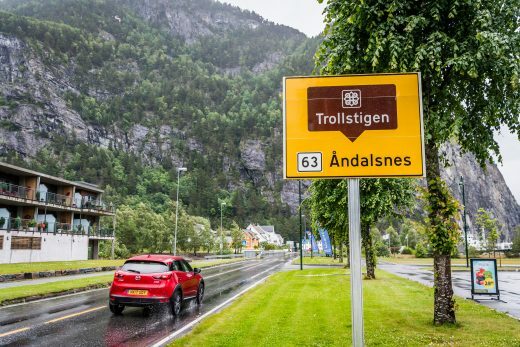 Other route highlights included the stunning Atlantic Highway and the switchback hairpins of the Troll’s Ladder. The revised 13-model Mazda CX-3 range features eight 2.0-litre SKYACTIV-G petrol models and five SKYACTIV-D 105ps diesels. Offered with either 120ps or 150ps, the 2.0-litre petrol engine accounts for 80 per cent of UK sales. 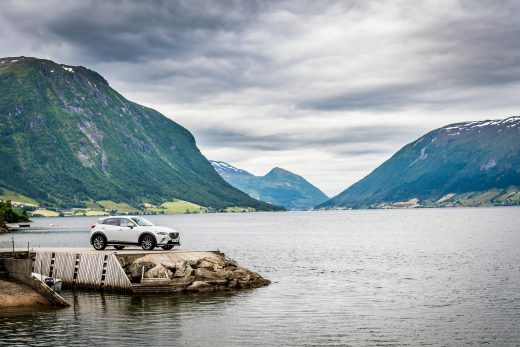 Available in all trims, with both SKYACTIV-MT manual and SKYACTIV-Drive automatic transmissions, the 120ps engine with front-wheel drive makes up the bulk of the line-up, while the 150ps engine is matched exclusively to all-wheel drive (AWD). Joining the 120ps SKYACTIV-G petrol line up, the GT Sport is offered with manual or automatic gearbox and costs £22,895 and £24,095 respectively. Limited to just 500 cars, the GT Sport features the same generous standard equipment tally as the Sport Nav, but adds to the CX-3’s appeal with unique styling cues and high-class interior trim. 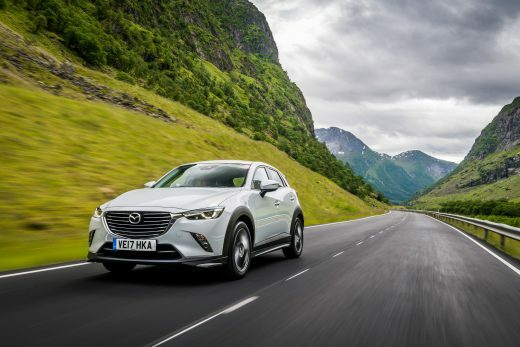 With a stand-out aero kit designed to enhance the CX-3’s coupe-like profile and sharp lines, the Mazda CX-3 GT Sport’s front, side and rear skirts with silver inserts, black rear roof spoiler and 18-inch silver alloy wheels give it a uniquely high-end and sporty look. This is complemented by a choice of free-of-charge Ceramic Metallic or Meteor Grey Mica paint, while the premium feel continues inside with Nappa leather and unique GT-Line floor mats. As before, the SKYACTIV-D 1.5-litre diesel engine completes the engine line up, as with petrol versions, front-wheel drive models make up the majority of the range, although the 105ps SKYACTIV-D Sport Nav AWD is offered with both manual and automatic transmissions. With emissions of just 105g/km the front-wheel drive SKYACTIV-D has an official combined economy of 70.6mpg. 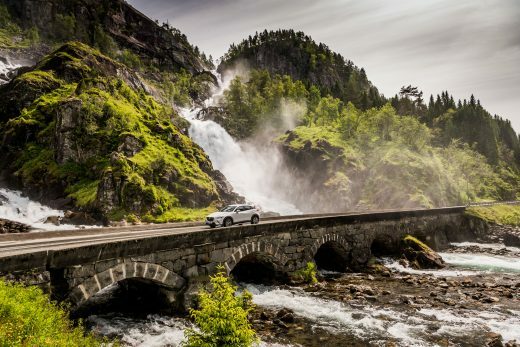 Mazda’s smooth and efficient 1.5-litre SKYACTIV-D engine now features Transient Control, which ensures a more positive throttle response by reducing turbo lag and boosting torque to deliver a petrol-like engine feel. The engine has also benefited from the introduction of Mazda’s Natural Sound Smoother (NSS) technology, which thanks to a dynamic damper inside the piston pin suppresses resonance from the piston and connecting rod to reduce knock noise during starting and low-speed acceleration. 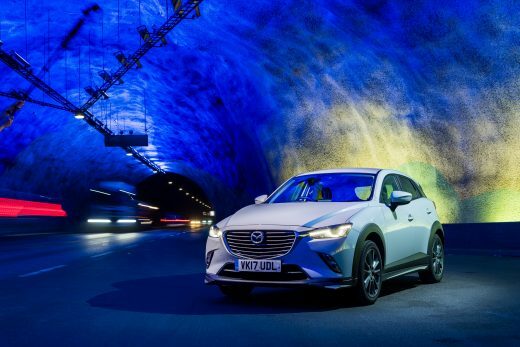 All models in the revised Mazda CX-3 range feature a new steering wheel, while enhanced cabin refinement across the range is achieved thanks to the adoption of extra sound absorbing material in key areas like the dashboard, tailgate, transmission tunnel and boot. In addition, petrol models now feature a re-tuned engine mounts that reduce resonance entering the cabin. 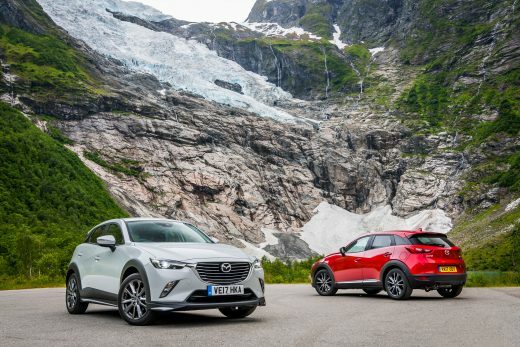 This improvement in refinement is matched to subtle enhancements to the Mazda CX-3’s already driver-focused dynamics. Slightly altered front and rear damper specifications and new front lower arm rear side bushings improve ride quality, while recalibration of the electric power steering has improved precision and linearity of the steering. 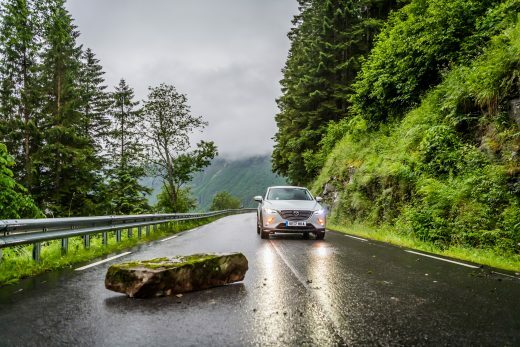 Overall, controllability during cornering and straight-line stability has been improved, while at the same time better ride quality and reduced cabin noise have enhanced occupant comfort. 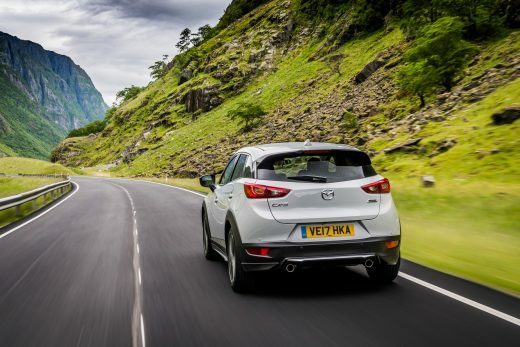 Adding to this dynamic improvement is the introduction of G-Vectoring Control (GVC) across the Mazda CX-3 range. 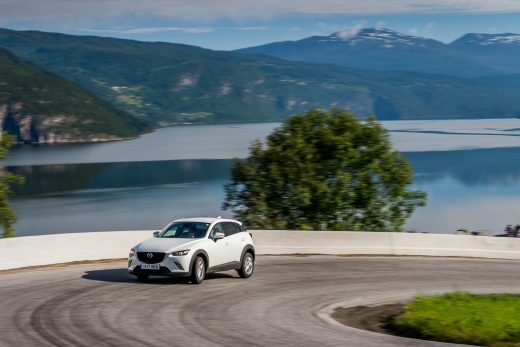 The first of Mazda’s SKYACTIV-VEHICLE DYNAMICS technologies, GVC varies engine torque to optimise loading on the wheels when cornering to indiscernibly provide more precise handling and improve comfort. 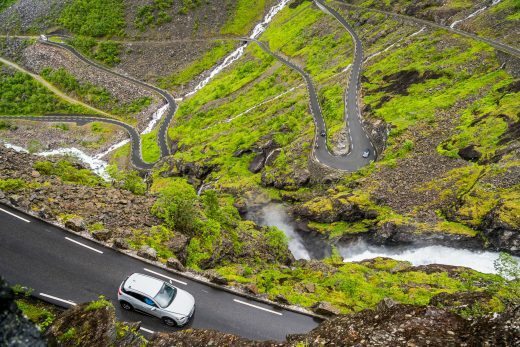 Standard from SE-L Nav trim onwards, Mazda Advanced Smart City Brake Support has been upgraded to include pedestrian detection. 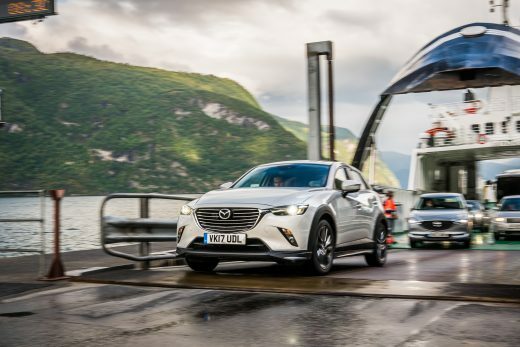 Other new equipment highlights on the upgraded Mazda CX-3 include heated, auto-power folding door mirrors across the range, and on Sport Nav models a heated steering wheel and a colour head-up display. In addition a power adjustment and memory function has been added to the optional half stone leather/half black LUX SUEDE® seats. Welcome to Warrington Mazda. To optimise your experience, cookie settings on the website are set to allow all cookies. By continuing your journey throughout the website, you consent to this. You can change these settings here.